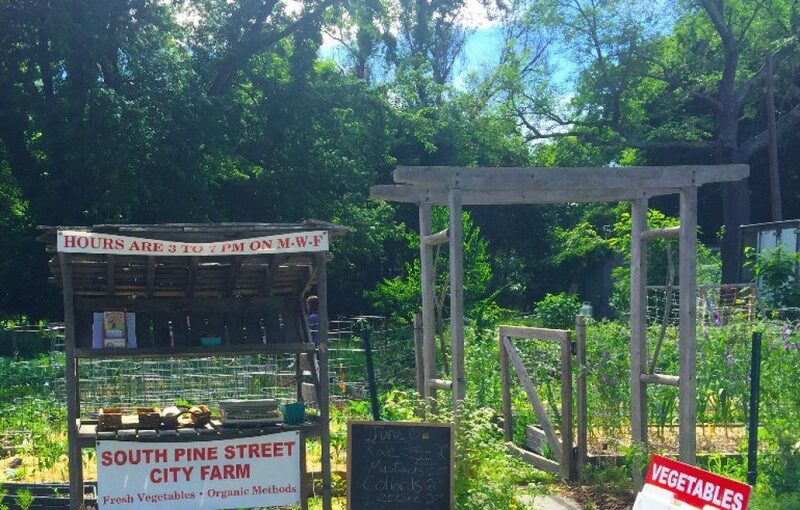 South Pine Street City Farm | Urban Farm Oasis producing fresh local crops organically grown. Urban Farm Oasis producing fresh local crops organically grown. The South Pine Street City Farm is an urban farm located in the Hudson Valley’s Kingston, NY. On a 1/4 acre lot, we grow produce destined for our city’s tables. We strive to provide nutritious and delicious vegetables grown minutes from their destination using responsible and regenerative growing practices. We use non-GMO seeds and all organic methods for raising plants, strictly without use of pesticides, and continue to remain true to these ethical sustainable farming practices. We employ chemical free organic soil methods, building upon previous soil in the 20+ raised beds and surrounding area, thus maintaining each year a sufficient level of healthy organic matter and essential nutrients to sustain quality crops with each new season. The farm is SOUTH OF GREENKILL AVE, across from Binnewater Ice. South Pine Street City Farm is an urban agricultural initiative sponsored by the Kingston Land Trust, made possible by Diane Davenport and Binnewater Ice Co.